Icy Strait Point, the Alaska Native-owned and -operated cruise destination in Southeast Alaska, will get two new ships visiting next summer, the Celebrity Solstice and Norwegian Pearl. 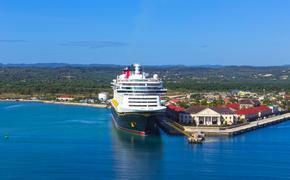 In total, the port will expect 73 calls from May through September by ships operated by Norwegian Cruise Line, Royal Caribbean International, Oceania Cruises, Regent Seven Seas, Princess Cruises, Celebrity Cruises and Holland America Line. “We’re only 10 years old. It’s rewarding to see a growing demand for the experiences we offer to travelers,” said Johan Dybdahl, Icy Strait Point director of special projects and community relations. Dybdahl grew up in Hoonah, Alaska’s largest Tlingit village, on the site where Icy Strait Point now stands and has been involved in its development and operation from the beginning. This year, about 130,000 cruise passengers will visit Icy Strait Point, double the number during its first season in 2004. More than 1 million cruise guests have visited since then. Approximately 70,000 travelers ridden on the ZipRider zipline, billed as the world’s highest with six side-by-side cables that release six guests simultaneously. They drop 1,300 feet from the top of a mountain to the shore, reaching speeds of up to 60 mph. The ZipRider will be featured on the Travel Channel’s new TV show “RIDE-iculous” on Sept. 1.